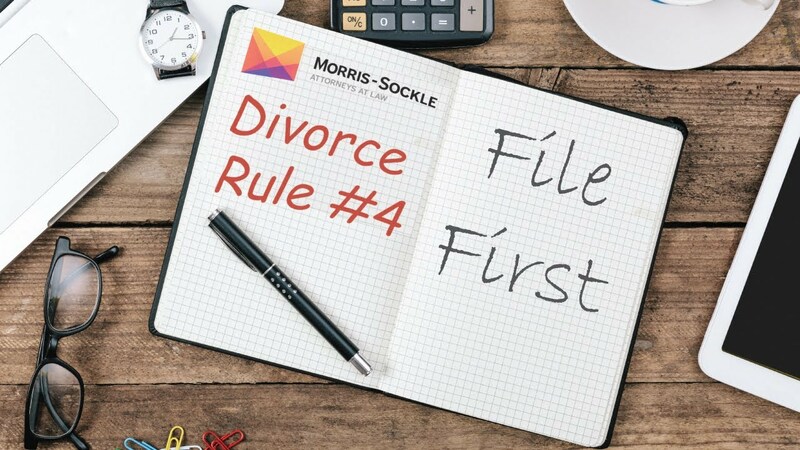 Either the Husband or the Wife can file for divorce at any time, so long as the other spouse has not already filed. To file for divorce you must know and follow all of the State Laws and Court Rules, or retain an experienced divorce lawyer to assist you. How Do I Initiate my Divorce in Washington? Step 1: Determine which Court has jurisdiction over your case. It will be the Superior Court in your County of residence, or the county in which your children reside. Each Superior Court has specific rules and procedures that will that you will have to follow, and special forms that you must use. Many Courts require specific case schedules, education classes, and/or settlement conferences. You must learn about, and follow, the local Court requirements in the county in which your case will be heard. Step 2: Draft a proper Petition for Dissolution of Marriage. The court has specific forms that must be used. The Petition is the form that sets forth many of the details of your case. Step 3: File all required documents with the Court Clerk. Step 4: Have your spouse served with the divorce papers. Follow Steps 1-4, and you have started your Divorce. What Do You Have to Prove in Order to Get Divorced? Washington is a “No-Fault Divorce State“. The only “Grounds” for Dissolution of Marriage in Washington is “Irreconcilable Breakdown of the Marital Relationship“. There is no need to claim or prove marital misconduct. The only thing that you need to establish is that the marriage is broken, and is no longer working. The reason why the marriage is broken is of little consequence in the eyes of the court. If either party claims that the marriage is not working, they will be awarded a divorce, even if the other spouse opposes the divorce. Infidelity, abuse, or abandonment will not give either party more rights. A divorce cannot be finalized until after a 90-Day Waiting Period has passed. The Waiting Period does not start until the Petition for Dissolution of Marriage has been filed in the proper court, and properly served upon your spouse. The Waiting Period cannot be waived or shortened. How does my divorce progress after my spouse is served? A: Your spouse will have to file a written “Response” to your Petition. This is their answer to the statements you made in your Petition. Now the Divorce is at issue and can proceed through the Divorce process. B: If the Parties (you and your spouse) reach agreement on every issue involved in the divorce, and the proper documents are filed with the court, a judge will order your marriage dissolved without a trial. C: If you and your spouse cannot agree on every issue, there will be hearings for Pre-Trial or Temporary Orders and, eventually, the Court will schedule a “Settlement Conference or Mediation” to assist in reaching a compromise agreement. If you can reach agreement on all issues during these negotiations the Court will enter an Order dissolving your marriage without going to trial. D: If the Parties are still unable to agree to all the terms of the divorce after participating in a Settlement Conference or Mediation, the court will schedule a “Trial“. At trial the Judge will decide all issues upon which you could not agree. This is the final step in litigation to resolve all issues raised in the Divorce process. At the end of the Trial, the court will issue a “Decree of Dissolution of Marriage”. This document contains the final rulings of the court. E: If your situation significantly changes after your divorce was finalized you can file a new action to attempt to get your Divorce Decree modified. Changing the terms of a Divorce Decree requires a new petition, motions, negotiations, hearings and perhaps a trial before you can attain a formal “Divorce Modification“. Winning a Modification action will be challenging. A modification will cost you more time and money just to attempt it. The moving party will have to prove an unforeseen “substantial change of circumstance”. That is why it is important that you plan for some change in circumstances in the future in your initial proceedings. Why are Temporary Orders so Important? Washington divorce law requires a minimum 90-day waiting period before a divorce can be finalized. Many divorces can take over a year to process. During the waiting period, the court will enter an initial set of Orders known as, “Temporary Orders“ that will control the marital relationship during the divorce process. In addition, Temporary Orders can also be used to protect bank accounts and other financial investments. The Temporary Orders stay in effect until the Dissolution of Marriage (divorce) is finalized. Any decisions made by the judge during the divorce process (including at the time of trial) will rely heavily on the Temporary Orders that have been in place since the early stages of the divorce. Temporary Orders set the tone for important issues involving children, property division, and finances. Temporary Orders have a habit of becoming permanent and should not be taken lightly. What are “Parties” and “Proceedings”? In the state of Washington, the Courts have their own set of legal terms and procedures that must be followed in order to legally end your marriage. Understanding these terms and procedures will help you have a clear picture of what is happening during your divorce, what to prepare yourself for, and what you can expect at each stage of the divorce process. The “Parties” are the people who are ending their marriage. In your case: you and your spouse. The spouse that starts the divorce is called the “Petitioner”. The spouse that answers the Petition is called “Respondent”. Parties are People. The “Proceedings” are the Court Hearings, Trial, Mediation, Arbitration, Court Rules, documents, and the steps during the legal processes that must be followed in order to officially end a marriage in the eyes of the law. Proceedings are the process. Each party may have a divorce lawyer represent them during the proceedings. What Does “Dissolution of Marriage” Mean? The technically correct term for divorce, or the ending of a marriage in Washington, is “Dissolution of Marriage”. What if My Spouse Filed First for Divorce? The divorce process will be very similar whether you are the Petitioner or the Respondent. The roles are somewhat changed, but the rules and procedures are the same. We think that the Petitioner has a slight advantage in the process. When you are finished with your initial research, you can schedule a Consultation with one of our experienced and skilled attorneys at Morris-Sockle to discuss the details of your specific situation. Call (877) 866-7100, or fill out our short contact form, to schedule an appointment.